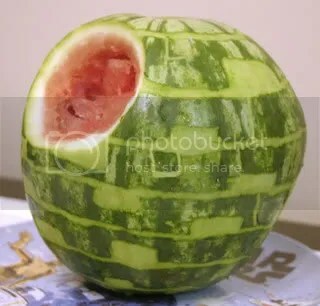 Before I found out I was pregnant, we had originally planned to go to Disney World during their Star Wars Weekend celebration. When we had to postpone the trip we were all a little blue about it. So when Star Wars Weekend rolled around this year, we decided to make our own – at home! 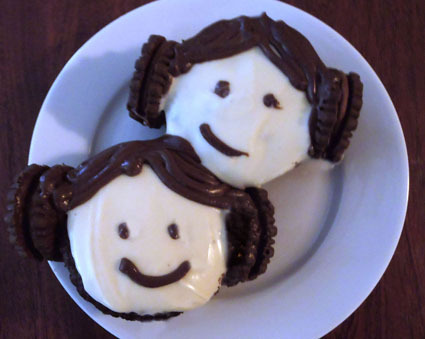 The movie of choice was A New Hope (of course) and we served Princess Leia cupcakes. We made two crafts from Bonnie Burton’s amazing Star Wars Craft Book, an AT-AT planter and a Chewbacca bird feeder. 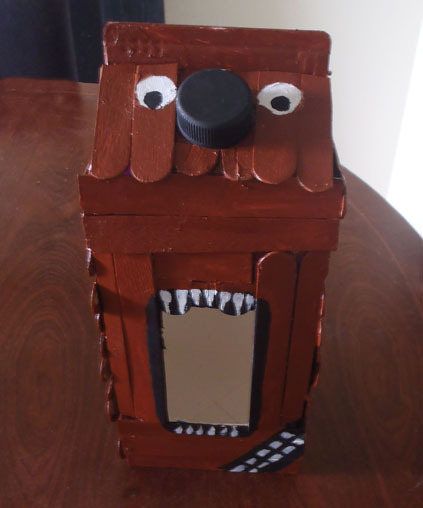 My daughter wanted to know what sensible bird would use a feeder that required it to fly into the open, toothy jaws of a wookie, so it is now known affectionately at our house, as “The Bird Feeder of Death”. For the cupcakes, I found the recipe here. 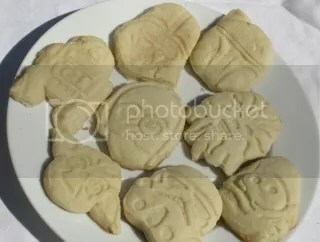 You ice cupcakes with cream cheese icing, ice two chocolate cookies to the sides, and add some more chocolate icing for her hair, eyes and mouth. If you can find tiny pink sugar hearts you can use those for her mouth as well but either way, another fun and inexpensive recipe for kids! 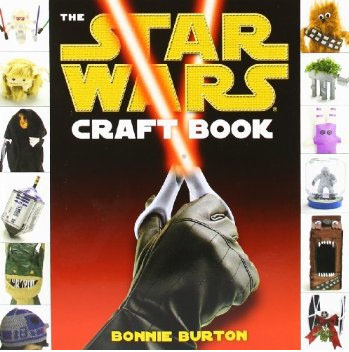 The crafts from Bonnie’s book are all fun and I’d recommend that anyone who has a young padawan in their home needs to go out and get it right away. 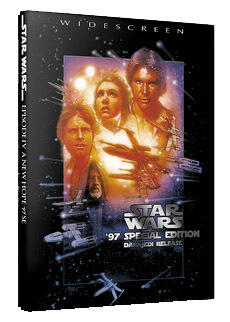 She also has a You Can Draw: Star Wars book that I am ordering for my son for Christmas. 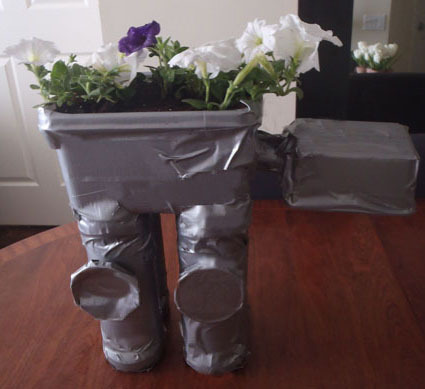 For the AT-AT you’ll need 4 chip tubes, a small plastic planter for the body, a smaller plastic lunch container for the head, a chunk of a paper towel roll for the neck and a roll of duct tape to cover everything with. Once you are done, you will need some soil to fill it and either some little plants or some seeds. My son said that the AT-AT was one from Endor that had been redesigned as a garden by the Ewoks after their victory. For the Bird Feeder of Death, you will need a juice or milk carton, a bag of Popsicle sticks, glue, some acrylic paint and brushes, and when it is all finished, a bag of bird seed. Another home run at the dollar store for us with this movie night, we got all the craft supplies there. 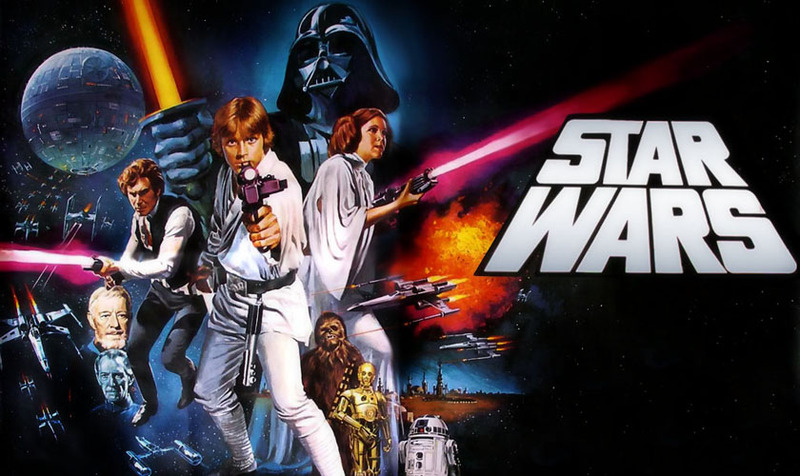 The two men in my family are such huge fans and this was voted such a fun night, we might have to do another Star Wars movie night next Star Wars Weekend so if you are a fan too, stay tuned and “May the force be with you”. A little extra – I made this for my husband. I got a cheap mug from Loblaws, wrote all his lines in in pencil and mine in a porcelain pen from Wal-mart. I gave the mug to him wrapped up with the pen. 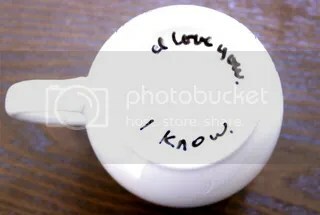 When he opened it up I got him to go over my pencil in pen in his handwriting, and then I baked the mug in the oven and left it to set for two days.